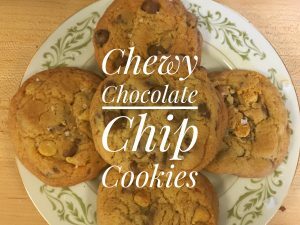 Chocolate Chip Cookies are a delicious and easy to make treat. Irvin Lin visited my husband’s office last year to teach his office how to make some amazing cookies. I know what your thinking and No my husband is not a chef, he just works in Silicon Valley where they work very hard and play hard. My husband took a workshop that taught him some tricks on how to make the perfect cookie. 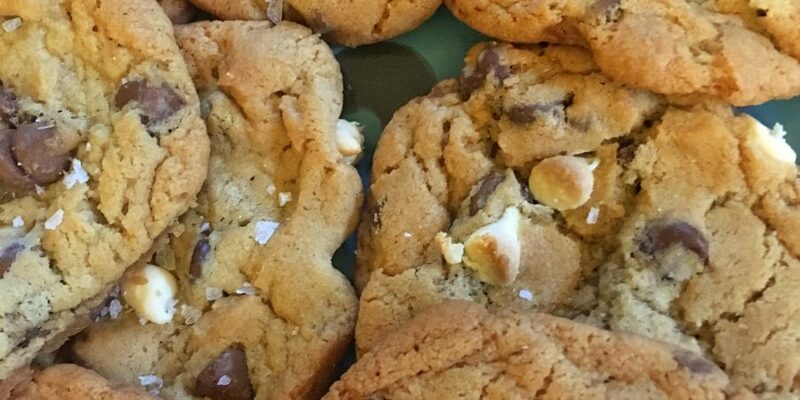 After the workshop, my husband came home and made our family the most wonderful chewy chocolate chip cookies. I now only use this recipe for my chocolate chip cookies. I made one tweak to the recipe. 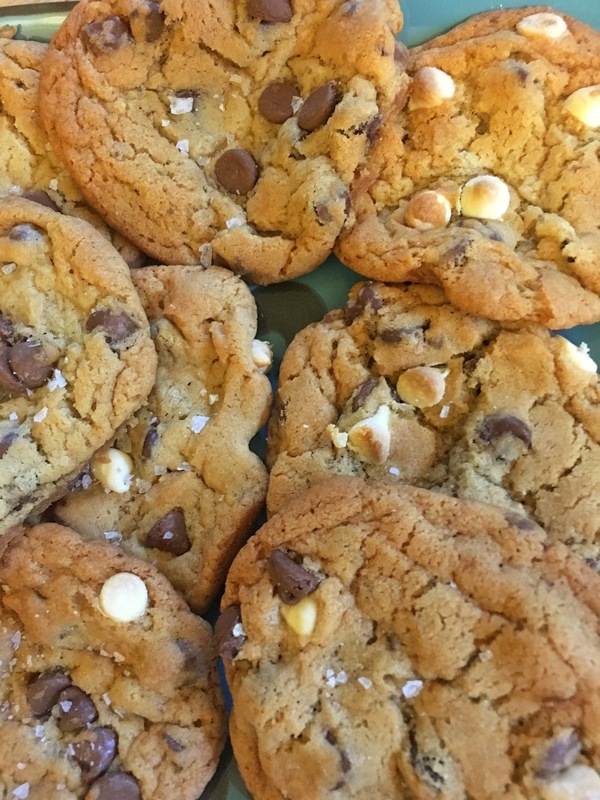 I use white chocolate Semi-Sweet Chocolate and Milk Chocolate chips but other than that I follow it step by step. Just know there is a catch, the dough has to sit in the freezer for 36 to 72 hours prior to baking! Evil, I know, but I’ve tried to skip this step and the cookies just don’t come out tasting as good. 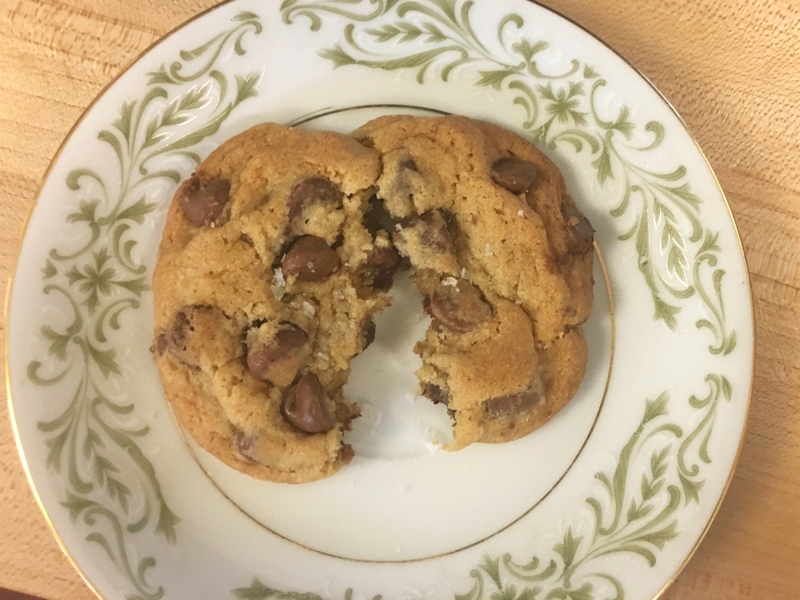 Flaky Salt is added to the top of the cookie after it’s done baking. 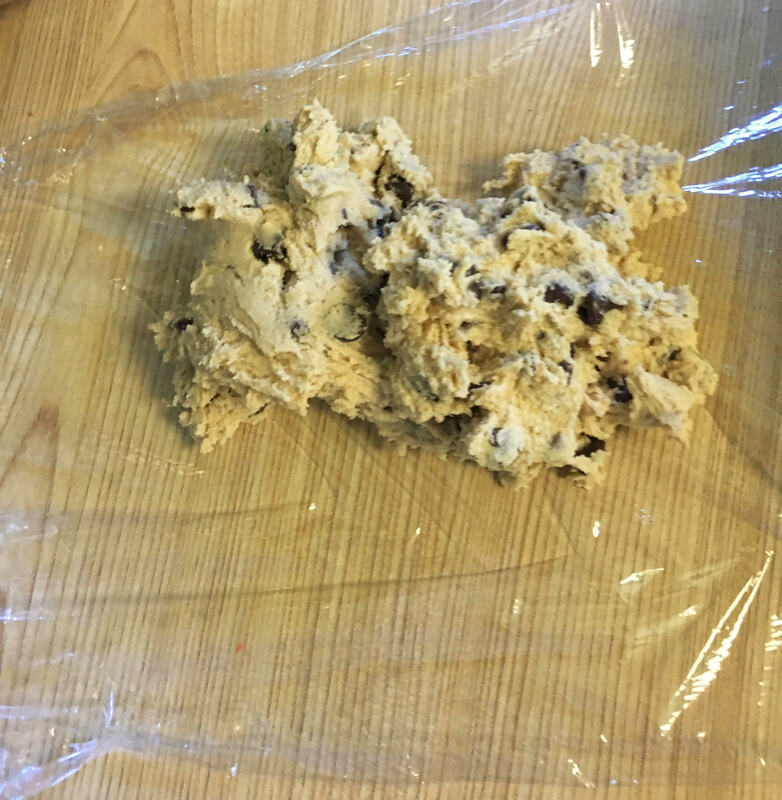 Cookie dough needs to be wrapped in plastic wrap and stored in the freezer up to 72 hours prior to baking. Let the dough defrost for about 90 minutes. 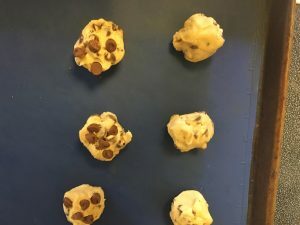 Then make the dough into balls, about the size as a golf ball, and place 4 pieces of chocolate chips at the top of each cookie. Bake and top with flaky salt. 1 1/2 cup white chocolate chips (Plus extra for baking)-You can just double the chocolate chips if you don’t want to add white chocolate. Bake at 350. The dough will not be ready until it has been in the freezer for at least 36 hours. 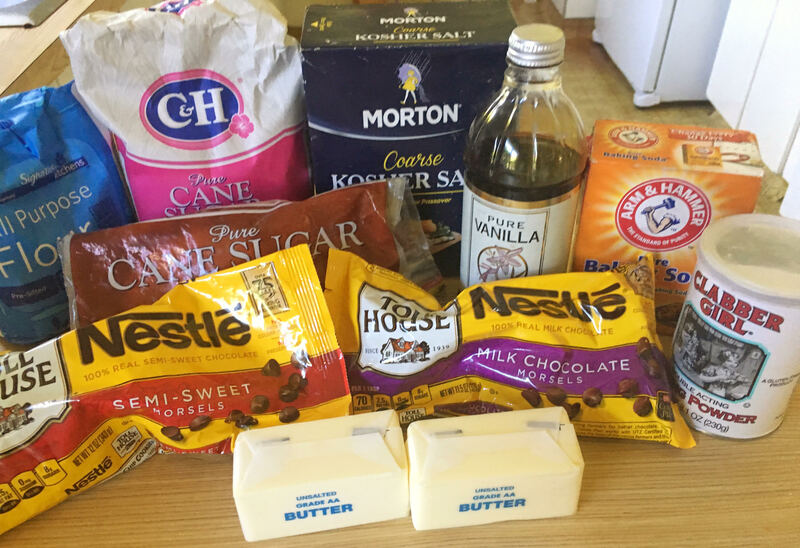 Add butter, sugars, and vanilla to mixing bowl. Mix on medium speed, until combined and creamy. Add eggs, one at a time, mixing in between. Don’t over mix. Add baking powder, baking soda, and salt. Mix on medium until well combined. Add flour. Mix on medium until well combined. Add chocolate and white chocolate chips. 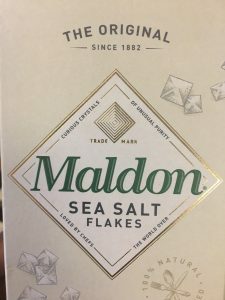 Mix with a spoon or on very low. 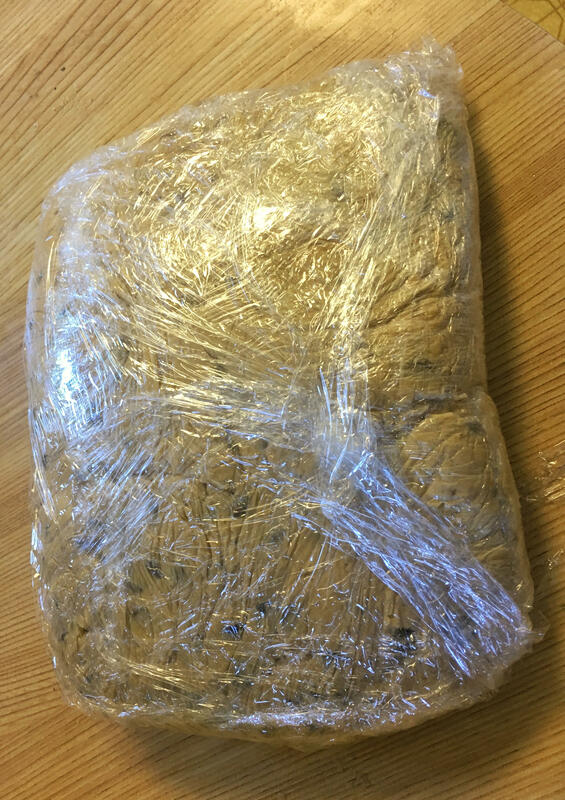 Put dough in plastic wrap. Press down to form a rectangle. Freeze for 36-72 hours. Take dough out of the freezer, let thaw for 60-90 minutes. Make small golf balls out of dough and place on a cooking sheet covered with parchment paper or a silicone sheet. Add extra chocolate chips to the dough. About 3-4 each. Bake 14-16 minutes until light brown. Remove cookies from the sheet using a metal spatula, place on rack, let cool for a couple of minutes. I’m not a huge chocolate fan, but I can always go for a good cookie. The ingredients in this recipe are telling of how delicious they are. Thanks for sharing! I love, love cookies. I can’t wait to try out this recipe. Looks so good and yummy. Thanks. Thanks! Please let me know how the cookies come out! Ok so is the trick to refrigerate the dough then? Thanks for posting! Yes. Freezing the dough adds improves the texture. Thanks! Your step by step instruction is very clear and easy to follow. Great Post! Being a chocolate fan I am definitely trying this.. I can’t wait to eat it.